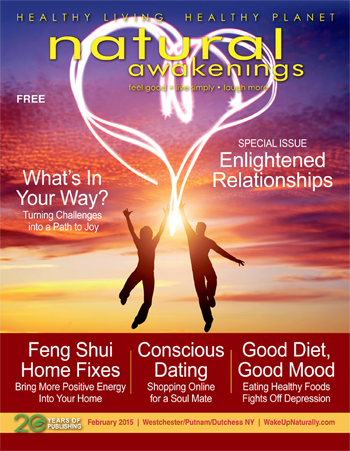 The following events appear in Natural Awakenings – Westchester, Putnam, Dutchess NY, March 2018 Edition. Full Moon Kundalini Yoga & Gong Meditation – 7-8:30pm. With Pritam Bani Kaur. Use movement, sound current, breath and meditation to relax and heal mind and body. First class free. $20. Devotion Yoga, 2055 Albany Post Rd, Croton on Hudson. 914.930.7707. DailyDevotionYoga.com. Introduction to Kundalini Yoga and Meditation – 10-11:30am. With Pritam Bani Kaur. Beginner class using movement, breath and meditation taught at a slower pace allowing greater explanation of movements. First class free. $20 drop-in. Devotion Yoga, 2055 Albany Post Rd, Croton on Hudson. 914.930.7707. DailyDevotionYoga.com. Cultivate a Healthy Mind through Meditation: Compassionate Mind and a Joyful Life – 10am-3:30pm. With Amy Reyer. $55. The Mariandale Center, 299 N Highland Ave, Bldg 5, Ossining. 914.941.4455. Mariandale.org. Shine On: Rediscovering Your Inner Spark – Mar 2-4. 5pm/Fri-1pm/Sun. With Kacey Morabito Grean. Participants reacquaint with the true powers that lie within. $225 includes overnight accommodations, program and meals. The Mariandale Center, 299 N Highland Ave, Bldg 5, Ossining. 914.941.4455. Mariandale.org. Reiki I Class/Meditation Retreat – Mar 3-4. 9am-3pm. Learn a holistic way to heal oneself and others from original Usui Reiki Ryoko System. $300 breakfast included. Ganesha Spa, Peekskill. Info: 914.906.7238. GaneshaSpa.com. Semi-Private Beginners Yoga – 10:30-11:30am. Feel supported and comfortable in a semi-private session limited to five students. Katonah. 914.479.2594. HipHeather.com. Introduction to Foot Reflexology – 12:30-2:30pm. $35 nonmembers. $30 members. Includes material fees. Elevate Yoga & Barre Studio, 1820 New Hackensack Rd, Wappingers Falls. 845.462.8400. Info: ElevateByAllSport.com/events. Celtic Spirituality: Beauty Ever-Ancient, Ever-New – 1-3pm. With Margaret Murphy. In the month that we celebrate St Patrick, hear a lyrical presentation on Celtic spirituality. Free. The Mariandale Center, 299 N Highland Ave, Bldg 5, Ossining. 914.941.4455. Mariandale.org. Essentials for a More Easeful Birth – 1:30-5:30pm. Couples labor and delivery workshop for those 27 plus weeks. Quest Yoga Arts, 11-13 E Main St, Mt Kisco. Preregister/workshop description: 914.996.4286. QuestYogaArts.com (birth & baby tab). Tai Chi and Prayer – 9:30am-3pm. With Allen Bourque. Gentle workshop will develop familiarity with natural movements drawn from multiple traditions. No experience required. Wear comfortable clothes and socks. $60 includes lunch. The Mariandale Center, 299 N Highland Ave, Bldg 5, Ossining. 914.941.4455. Mariandale.org. Women’s Full Moon Gathering – 7-8:30pm. A non-denominational monthly gathering for women, coming together to draw on the powerful energies of the full moon. $10 requested donation. DG Sanctuary. 2 Lagrange Ave, Poughkeepsie. 845.473.2206. DreamingGoddess.com. Movement Education through Feldenkrais Method – 2-4pm. Quest Yoga Arts, 11-13 E Main St, Mt Kisco. Preregister/detailed workshop description: 914.996.4286. QuestYogaArts.com (workshops tab). Qi Gong Classes – Mar 6 and 20. 6:30-7:30pm. $10. Sacred Space Healings Arts, 436 Main St, Beacon. Register: 845.416.4598. EmpoweredByNature.net. 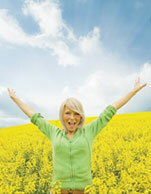 Becoming Unstuck: Transformation through Care of the Mind, Body and Spirit – Mar 6, 13, 20 and 27. 7-9pm. With Sheila Charbonier. Mini-lectures, experiential activities and more. $80 series. Must commit to all four workshops. The Mariandale Center, 299 N Highland Ave, Bldg 5, Ossining. 914.941.4455. Mariandale.org. Sacred Sound Healing & Somatic Energy Workshop – 7-9pm, Hudson Valley Healing Center in Poughkeepsie welcomes Mariel Sol for an evening of Sound. An event not to be missed. $50. Info: HudsonValleyHealingCenter.com. Foot Reflexology II – 9am-1pm. Open to students who have taken Introduction to Foot Reflexology. $49 (LES425). Dutchess Community College, South Campus, Wappingers Falls. Register directly with school: 845.431.8910. Online: SunyDutchess.edu/cfweb. Chakra Workshop – Noon-2pm. With Pritam Bani Kaur. Learn each of our chakras with simple kriyas and meditations focused on the seven chakras to open and balance the flow of internal energy. $30. Devotion Yoga, 2055 Albany Post Rd, Croton on Hudson. Preregister: 914.930.7707. DailyDevotionYoga.com. LifeForce Yoga Self-Care Saturday Retreat – Noon- 4pm. With Kat Larsen. Breathwork, mudras, asanas for grounding/strength. Yoga chakra clearing meditation and yoga nidra. High tea light lunch provided. $90. Limited space. The Temperance Center, 453 White Plains Rd, Ste 203, Eastchester. Preregister/prepay: 914.793.2600. TheTemperanceCenter.com. Reiki 2 Class – Mar 10-11. 1-5pm both days. With Anne Bentzen. Learn Reiki symbols, distance healing and create a powerful practice. $300. Balancing 4 Life, 3 Pheasant Dr, Armonk. 914.588.4079. Register online: Balancing4Life.com. Yoga and the Heart – 1:30–4:30pm. With the Bhagavad Gita. Unfold the secrets held at one’s heart center. With Shari Friedrichsen. $45 members. $65 nonmembers advance. The Yoga Studio, Club Fit, 584 N State Rd, Briarcliff Manor. Info: Audrey Brooks: 914.582.7816. ytayoga.com. Let Your Yoga Dance – 6:30-8pm. With Beth Bierko. Move through the chakras and expand joy. Golden Prana Yoga, 223 Katonah Ave, Katonah. 914.232.3473. Info/preregistration required: GoldenPrana.yoga. Awakening Kundalini Energy Meditation Retreat –8:30am-3:30pm. Includes yoga class, moving guided meditations, chanting, sound bowls healing, breakfast and lunch. Limited availability. $100. Ganesha Spa, Peekskill. Register: 914.906.7238. Ganeshaspa.com. Free Aura Soma Colour Therapy Discussion – 12:30pm. 60-min group session. There will be a drawing for one free colour reading. The Source NY, 143 Boardman Rd, Bldg 3, Poughkeepsie. Must RSVP: 845.214.0452. TheSource-NY.com. Malas & Mantras Workshop – 1-3pm. Together we explore the meaning of Malas and create a mantra/intent to infuse into the Mala that participants create with hands on direction. $65. DG Sanctuary, 2 Lagrange Ave, Poughkeepsie. 845.473.2206. DreamingGoddess.com. Monthly Reiki Circle – 2-3:30pm. With Deborah Amjadi. Reduce stress, relieve pain and accelerate healing without use of medication. Those new to reiki receive an individual or group energy healing. Practitioners welcome to participate in reiki exchanges. $20 cash. Mt Kisco. 914.864.0462. Center4Healing.net. Guided Meditation – 7-7:45pm. With Amy Kaufman. $20. Golden Prana Yoga, 223 Katonah Ave, Katonah. 914.232.3473. Tea & Stones – 6:30-7:30pm. Connect and learn about gems, stones and their incredible properties. Free. Dreaming Goddess, 44 Raymond Ave, Poughkeepsie. 845.473.2206. DreamingGoddess.com. Bionutrient Food Association Meeting – 5:30-7:30pm – Monthly potluck meetings for gardeners, farmers, nutritionists and foodies at all levels of experience. Themed presentations, networking and demos. Westchester Land Trust in Bedford Hills. Info: Bionutrient.org. Reiki Circle – 7-9pm. Reiki students and practitioners of all levels and traditions welcome. No reiki experience necessary. $20. Golden Prana Yoga, 223 Katonah Ave, Katonah. Preregistration required: 914.232.3473. New Life Expo – Mar 16-18. America’s longest-running event focused on holistic enlightenment and rejuvenation. 100 exhibitors and speakers including Mas Sajady, Kimberly Meredith, Brenda Cobb and more. Hotel New Yorker, 481 8th Ave, NYC. Info: NewLifeExpo.com. Shamanic Journey Circle – 7-9pm. Through rhythmic drumming in guided meditation, we transcend our conscious state and journey to meet the helping spirits around us. No experience necessary. $20. DG Sanctuary, 2 Lagrange Ave, Poughkeepsie. 845.473.2206. DreamingGoddess.com. Maple Weekend: Pancake Breakfast – 3/17 & 3/18. Seatings at 9am, 10am, 11am for a pancake breakfast. Farm overlooks the Croton watershed and NYC skyline. Adult $10, Children 3-12 $8, Children Under 3 Free, Hilltop Hanover Farm, 1271 Hanover St., Yorktown Heights. Info: 914.962.2368. hilltophanoverfarm.org. Free Lecture: The Kidney/Heart Connection – 1-3pm. Light refreshments will be served. Dr. Kaushik’s Ayurvedic and Naturopathic Clinic, Yellow Monkey Village, 792 Rte 35, Cross River. 914.875.9088. DrKaushik.com. New Moon Yin Yoga: Manifest & Restore – 1:30-3pm.The new moon is a special time to set seeds of intention. Tune into one’s heart’s desires with contemplative yin yoga. Katonah. 914.479.2594. HipHeather.com. Shamanism: Ancient Indigenous Medicine – 2-4pm. With Melanie Ryan, Indigenous people knew how to heal the mind, body and soul. Learn the empowering healing practices existing for centuries worldwide. $40 door. Mt Kisco. 914.86.40462. Online: Center4Healing.net. Reiki I Training: Shoden – 10am-4pm. With Deborah Amjadi. Open energy channels to the powerful healing system of Mikao Usui Reiki. Learn history, explore and practice reiki protocols and more. Reiki II held in Apr. $225 door. Mt Kisco. Deborah: 914.329.2751. Online: Center4Healing.net. Refuge Recovery Group Meeting – 7-8:15pm. Peer led Buddhist inspired path to healing and recovery for all types of addictions and suffering. All welcome, small donation suggested. Devotion Yoga of Westchester, 2055 Albany Post Rd, Croton on Hudson. 914.930.7707. DailyDevotionYoga.com. Free Lecture: What is Ayurvedic Medicine and How Does It Compare with Western (Allopathic) Medicine? – 7-9pm. With Dr. Somesh Kaushik, an Ayurvedic and Naturopathic physician. Ridgefield Library, 472 Main St. 203.438.2282. RidgefieldLibrary.org. Spring Equinox Yoga & Meditation – 7-8:30pm. With Dharam Atma Kaur. Balance and renew. Start spring with a gentle kundalini kryia, Extended gong bath and chanting. Golden Prana Yoga, 223 Katonah Ave, Katonah. 914.232.3473. Free Lecture: What is Ayurveda and What Can It Do for You? – 7-9pm. With Dr. Somesh Kaushik, an Ayurvedic and Naturopathic physician. The Phoenix & The Rose, 46 Bedford Rd, Katonah. 914.434.2999. 917.924.0993. Holistic Moms Meeting: How to Correct Reading Challenges and ADHD Naturally – 7:30pm. Suzanne Buchauer, presents a groundbreaking, drug free correction program called Davis Correction Programs. At Rye Free Reading Room, 1061 Boston Post Rd, Rye. Info: HolisticMoms.org. Qi Gong for Seniors – Mar 23, 30, Apr 6, 13, 20 and 27. 10am-Noon. Six-class series (LES451). $129. Dutchess Community College, South Campus, Wappingers Falls. Register directly with school: 845.431.8910. Online: SunyDutchess.edu/cfweb. Maple Weekend: Pancake Breakfast – 3/24 & 3/25. Seatings at 9am, 10am, 11am for a pancake breakfast. Farm overlooks the Croton watershed and NYC skyline. Adult $10, Children 3-12 $8, Children Under 3 Free, Hilltop Hanover Farm, 1271 Hanover St., Yorktown Heights. Info: 914.962.2368. hilltophanoverfarm.org. Shamanic Reiki Training Level One – Mar 24-25. 10am-5pm. With Melanie Ryan. Become a vessel for healing. Be attuned to Mikao Usui Reiki and the intuitive, psychic healing powers used for centuries by shamans. $425. Mt Kisco. 914.864.0462. Center4Healing.net. Goddess Rising Restorative Yoga Workshop – 1:30-3pm. Half of the proceeds will be donated to the Omega Women’s Leadership Center. Katonah. 914.479.2594. HipHeather.com. Book Club at Merritt Bookstore – 10:30am-Noon. First book is Her Body and Other Parties: Stories by Carmen Maria Machado, a short story collection that was shortlisted for the 2017 National Book Awards. Merritt Bookstore, 57 Front St, Millbrook. Info: merrittbooks.com. Natural Way to Quit Sugar, Overeating, Smoking – Noon-1pm. Learn simple, effective method for quitting smoking, alcohol, sugar and more. 80 percent success. Simpler than most dare to believe. Free lecture. NYC location, E 37th btwn Park & Lex. 914.705.1805. Weiss-Method.com. Kundalini Yoga & Gong Meditation – 5-6:30pm. With Pritam Bani Kaur. New time. Movement, sound current, breath and meditation to relax and heal mind and body. All levels. First class free. $20 drop-in. Devotion Yoga, 2055 Albany Post Rd, Croton on Hudson. 914.930.7707. DailyDevotionYoga.com. Yoga for Arthritis Workshop – 2-4pm. Quest Yoga Arts, 11-13 E Main St, Mt Kisco. Preregister/detailed workshop description: 914.996.4286. QuestYogaArts.com (workshops tab). Psychic Reiki – 5-7pm. With Brett Bevell . $35. Synchronicity, 1511 Rte 22, Brewster. RSVP: 845.363.1765. Info: SynchronicityNY.com. Healing Unwanted Habits and Empower Your Self-Healing – 6-8pm. With Mandeep Kaur Khalsa. Four Fridays. $45 per class. Preregistration required. Golden Prana Yoga, 223 Katonah Ave, Katonah. 914.232.3473. The following events calendar appears in Natural Awakenings – Westchester, Putnam, Dutchess NY, June 2016 Edition. Drumming with White Buffalo Calf Woman – June 1 and 18. 7-8:45pm. With Dorinda Gay. Energy support and healing provided as needed to mind, body and spirit. $48 suggested. The Center for Health and Healing, Mt Kisco. 914.864.0462. Center4Healing.net. Get the Love You Want – June 3-5. With Harville Hendrix and Helen LaKelly Hunt. Discover a spiritual path for couples to create a conscious relationship. Omega Institute, 150 Lake Dr, Rhinebeck. 877.944.2002. eOmega.org. Relay for Life Mahopac – 7am June 4 to 7am June 5. American Cancer Society’s celebration/fundraiser to end cancer. Family-friendly events with food, games and activities. Mahopac High School, 421 Baldwin Place Road. Info: RelayForLife.org. The First Annual Inter-Tribal Unity Gathering – 10am-4pm. Unity Gathering hosted by The Schaghticoke First Nations and the Town of Dover. Native drumming leads up to opening ceremony at 11am. Food, displays, vendors, entertainment. Thomas J. Boyce Park in Wingdale. Info: unitysfn.org. National Trails Day – 2pm. A naturalist leads a hike and shares facts about history and ecology of our unique forested oasis. Members free. $8 nonmembers. GNC, 99 Dromore Rd, off Central Park Ave, Scarsdale. 914.723.3470. GreenburghNatureCenter.org. New Moon Gathering – 7-8:30pm. Use the lunar cycle to realize one’s intentions. Guided meditations and ritual facilitated by astrologer Pamela Cucinell. BYO notebook. $20 members. $25 nonmembers. Wainwright House, Rye. Register: 914.967.6080. Blissing – 7-9pm. Ecstatic chant and dance. $20. Prana Moon Yoga, 1000 N Division St, Peekskill. Info: 914.420.4515. blissingchant.com. A Day of Healing Workshop – 10am-5pm. Penny Lavin from international, One Light Healing Touch School teaches scanning, radiant and color healing for healing oneself, others and more. Six NCBTMB CEUS. $150. Lagrangeville. Register: Penny: 845.878.5165 OLHT1.com. Intuition and Body Wisdom for Women – Noon-2pm. With Angela Pizzarello. $40. Synchronicity, 1511 Rte 22, Brewster. Register: 845.363.1765. Info: SynchronicityNY.com. Happy, Healthy and Fit for Summer – 2-3:30pm. Ease into s summer routine with tips and information from our clinical nutritionist on how to eat right for one’s fitness goals. Hygeia Integrated Health, LLC, 3505 Hill Blvd, Ste K, Yorktown Hts. Info/register: HyInHealth.com. Farm to Table Fundraiser – 4-7pm. Samplings of delicious dishes crafted by artisan food pros, accompanied by fine wines from area wineries. In support of Greenburgh Nature Center. Info: 914.723.3470. GreenburghNatureCenter.org. Free Talk: Essential Oils 101 – 7-8:30pm. Learn all about the surprising benefits and uses of Essential Oils. Leave feeling informed and invigorated. Free samples. Quest Yoga Arts, 11 E Main St, Mt Kisco. Register: 914.241.9642. QuestYogaArts.com. Reduce Stress with Self- Acupressure – 7-9pm. With Avra Blieden. Learn acupressure points and Qi Gong exercises to help de-stress. Westchester Community College. Info/Preregister: sunywcc.edu/continuing/ce. BIG Monthly Luncheon – Noon-2pm. Women’s empowerment organization designed to help women of all ages identify and embrace their true life purpose professionally and personally. The Burger Barn, 289 Rte 100, Somers. Info: 914.646.5766. BelieveInspireGrow.com. Changes in Our Regional Energy Grid: Reducing Carbon While Saving Money? – 7pm/refreshments; 7:30pm/program. Learn to benefit by choosing 100% renewable energy. Co-sponsored by Lower Hudson Sierra Group. Free. GNC, 99 Dromore Rd, Scarsdale. Info: 914.723.3470. GreenburghNatureCenter.org. Monthly Buddha Dharma Sangha – 7-8:30pm. With Derek Killeen, senior Buddhist teacher. Meditation instruction for those new to practice, meditation practice, discussion and more. Refreshments served. $10 suggested. The Center for Health and Healing, Mt Kisco. 914.864.0462. Center4Healing.net. Free Talk: Slow Medicine for Anxiety & Stress – 7-9pm. With Dr. Michael Finkelstin. Learn about designing a personalized action plan for achieving health and wholeness. Quest Yoga Arts, 11 E Main St, Mt Kisco. Register: 914.241.9642. QuestYogaArts.com. Psychic Message Circle – 7-9:30 pm. With Kimberly Taylor. $10. Pawling Library, 11 Broad St. 845.855.3444. PawlingLibrary.org. 2nd Annual Walkway Marathon Race Series – 6/11 & 6/12. A Weekend of running, family and fun! Race Registration: WalkwayMarathon.org, 845.454.9649. Spirit Circle – 10-11:30am. With Joann Fiallo. $40. Synchronicity, 1511 Rte 22, Brewster. Register: 845.363.1765. Info: SynchronicityNY.com. Soul Play Saturday – 11:30am- 4:30pm. Future dates: 7/ 9, 8/13, 9/10 & 10/15. A monthly gathering to nurture the spirit at a Retreat House in Cold Spring. Introductory fee $65, register by 6/6. Info: awakenyourtrueessence.com. Aging Gracefully – 1:30-4:30pm. With inspiring 97-years-young yoga grand master Tao Porchon-Lynch. Explore eternal energy of yoga. $45 members. $65 nonmembers advance. The Yoga Studio, Club Fit, 584 N State Rd, Briarcliff Manor. Info: Audrey Brooks: 914.582.7816. ytaYoga.com. Kirtan: Songs for the Soul/Summer Celebration – 6-7:15pm. With Tejase, acoustic guitar, bass, percussion and harmonium. $15. The Temperance Center. 453 White Plains Rd, Ste 203, Eastchester. RSVP: 914.793.2600. TheTemperanceCenter.com. Monthly Shamanic Journey Class – 7-8:45pm. With Melanie Ryan. Receive messages and guidance. Connect with power animals, angels and spirit guides. Tool for spiritual growth, healing and more. $48. The Center for Health and Healing, Mt Kisco. 914.864.0462. Center4Healing.net. Pathways to Mediumship – June 12-17. With John Holland and Lauren Rainbow. Take one’s skills and natural abilities to the next level in this training. Omega Institute, 150 Lake Dr, Rhinebeck. 877.944.2002. eOmega.org. Ukulele Zen – June 12-17. With Stuart Fuchs and Sarah Carlisle. Learn to play the ukulele and practice yoga and meditation to make playing more enjoyable. Omega Institute, 150 Lake Dr, Rhinebeck. 877.944.2002. eOmega.org. Past Lives Workshop and Psychic Readings – Noon-2pm. With European Psychic Lai Ubberud. Synchronicity, 1511 Rte 22, Brewster. Register: 845.363.1765. Info: SynchronicityNY.com. Return to Atlantis – 2:30-4pm. With Dr. Denise Galon and European Psychic Lai Ubberud. Synchronicity, 1511 Rte 22, Brewster. Register: 845.363.1765. SynchronicityNY.com. Restorative Workshop – 5-7pm. All levels. Take time to relax and let go of “have to’s” and “shoulds” for health and well-being. $25 advance. $30 door. Quest Yoga Arts, 11 E Main St, Mt Kisco. Register: 914.241.9642. QuestYogaArts.com. Skin Rejuvenation, Pain Relief and Detoxification –Noon-1pm. Learn three natural ways to feel one’s best. Seats limited, reserve space. 2013 Crompond Rd, Yorktown Hts. 914.962.1155. hwaHealthy.com. Healthy Eating Workshop – 6-7:30pm. Learn to eat healthy on a budget for oneself and family. Hear tips about anti-aging nutrition. Four panelists and Moderator, Dr. Wanda Jeanty. $6.27 admission. Light refreshments. Mid-Hudson Children’s Museum. Preregister: EventBrite.com. Yin Yoga and Meditation – 6:30-7:30pm. Relaxing yoga session followed by meditation. $4. Pawling Library, 11 Broad St. 845.855.3444; PawlingLibrary.org. Three Essential Secrets to Filling Your Holistic Practice with High-End Clients – 7:30-9pm. With best-selling Author, Angela Artemis. Finger Lakes School of Massage, 272 N Bedford Rd, Mt Kisco. RSVP: 914.241.7363. Adam Bernstein’s Medium Circle – 7-9pm. With guest Joan Carra. Connect to family and friends. $30. Joan also available June 17 for private sessions. 275 Fair St, Ste 17A, Kingston. 845.687.3693. PychicJoanCarra.net. Info@AdamBetweenTheWorlds.com. Be Yourself & Love It – June 17-19. With Anita Moorjani. Discover how to use self-love to bring healing into one’s life. Omega Institute, 150 Lake Dr, Rhinebeck. 877.944.2002. eOmega.org. Monthly Reiki Community Healing Circle – 7-8:45pm. With Beryl Hay and Deborah Fusco-Amjadi. First a gentle grounding meditation then form groups of two-three people for Reiki exchanges. $20. The Center for Health and Healing, Mt Kisco. 914.864.0462. Center4Healing.net. Archangels Workshop – 7-9pm. With Shaman Elka Boren. $35. Synchronicity, 1511 Rte 22, Brewster. Register: 845.363.1765. Info: SynchronicityNY.com. Shamanic Journey Circle – 7-9pm. Through rhythmic drumming in guided meditation, transcend one’s conscious state and journey to meet the many helping spirits around us. No experience necessary. $20. DG Sanctuary. 2 Lagrange Ave, Poughkeepsie. 845.473.2206. DreamingGoddess.com. Movies That Matter: Jimmy’s Hall – 7:30-10pm. Award-winning “Jimmy’s Hall” tells his story. Enjoy free popcorn, a good movie, great conversation, and community-building. Free. The Katonah SPACE, 44 Edgemont Rd. Katonah. Info: facebook.com/katonahSPACE. Women’s Full Moon Circle – 7-8:30pm. Non-denominational monthly gathering for women. Draw in the powerful energies of the Full Moon. $10. DG Sanctuary. 2 Lagrange Ave, Poughkeepsie. 845.473.2206. DreamingGoddess.com. Drumming with White Buffalo Calf Woman – 7-8:45pm. With Dorinda Gay. Energy support and healing provided as needed to mind, body and spirit. $48 suggested. The Center for Health and Healing, Mt Kisco. 914.864.0462. Center4Healing.net. 2nd Annual Yoga Mala – 6-8pm. Celebrate summer by practicing 108 sun salutations together. All participants should preregister and bring a yoga mat. $10 donation. Info: nOMadAlwaysAtOM.com. Change Your Thoughts—Change Your Life – 7-9pm. With Joan Carra. People react to the mind’s thoughts with feelings and create events and illnesses with their own belief system. Wainwright House, 260 Stuyvesant Ave. Rye. Pricing info: 914.967.6080. PychicJoanCarra.net. Westchester Holistic Network Monthly Meeting – 6pm. Cathy Lipsky’s Ix Chel Center, 23 Wilson Street, 2nd Floor, Hartsdale. Info: 914.912.2351. WestchesterHolisticNetwork.org. Vision & Success in School – 7-9pm. Discover tools to identify children having trouble learning. Vision problems prevent children from reaching their potential. Free. Dr. Samantha Slotnick, 495 Central Park Ave, Ste 301, Scarsdale. RSVP, Jane: 914.874.1177. DrSlotnick.com. One Light Healing Touch School – Enroll now. Meets June-Nov. Penny Lavin teaches 18-day school. It includes advanced energy healing techniques for healing oneself and others. 50 NCBTMB CEUs. Lagrangeville. Register: Penny: 845.878.5165. OLHT1.com. Spirit Communications & Healing – 6:30-8:30pm. With Alexandra Leclere. Meeting and communicating with one’s spirit guides. $40. Synchronicity, 1511 Rte 22, Brewster. Register: 845.363.1765. SynchronicityNY.com. Twisted Detox Yoga + Cleansing 101 Workshop – 12-2pm. With Heather Novak and Kristi Lynch. Learn what it takes to truly cleanse the toxins out and get the process going. $35 preregister. $40 door. PutnamYoga.com. Butterfly Exhibit Opening – June 25-Aug 7. 10am-4:30pm. Experience close encounters with butterflies and learn about their importance in nature. Info: 914.723.3470. GreenburghNatureCenter.org. Sacred Pipe Ceremony – 3-5pm. Offer prayers and gratitude to the universe. Free event, though it’s customary to bring a small token (herbs, chocolate, tobacco), if desired. DG Sanctuary. 2 Lagrange Ave, Poughkeepsie. 845.473.2206. DreamingGoddess.com. Solstice Kirtan – 7-8:30pm. With Satya Franche and Noah Baumwoll. Musical genre utilizes ancient Sanskrit mantras in a call-and-response format incorporating audience into the performance. $15. Quest Yoga Arts, 11 E Main St, Mt Kisco. Register: 914.241.9642. QuestYogaArts.com. Talking to Animals Intuitively – 12noon-1pm. With Joan Carra. The word animal is from Greek term anima which means spirit. Learn interspecies communications so owner and pet speak the same language. $40. Synchronicity, 1511 Rte 22, 845.363.1765. SynchronicityNY.com. Essential Yoga – 4-6pm. With Laura Jensen and Stephanie Dalfonzo. Breathe summer in with this yoga class and essential oils designed to flush kidneys and lengthen the side body. $30. Quest Yoga Arts, Mt Kisco. Preregister: 914.241.9642. QuestYogaArts.com. Summer Solstice Healing Night – 4-6pm. With Merrill Black, LCSW/Reiki Master. Yoga, Meditation. $20, half will be donated to charity. The Temperance Center, 453 White Plains Rd, Ste 203, Eastchester. 914.793.2600. TheTemperanceCenter.com. Eating Disorder Support Group – 7:30-9pm. Last Wed monthly. Led by LCSW and clinical nutritionist, discuss and resolve issues around relationships with food. Info/register: HyInHealth.com. Hope for Dementia & Alzheimer’s – July 1-3. Conference for lay and professionals about breakthrough research, including patient turnarounds and what reversible factors to evaluate. $375. Omega Institute, Rhinebeck.877.944.2002. Register: eOmega.org. For additional event listings, updates and changes, visit our online calendar on our main website. Visit us on WakeUpNaturally.com to connect with us on Facebook and Twitter. Osteoporosis: An Ayurvedic Prospective: Prevention, Treatment & Management – 7-9pm. Osteoporosis Awareness Group with speaker Dr. Somesh Kaushik, ND from Ayurvedic and Naturopathic Clinic, White Plains. Free. Burke Rehabilitation Hospital, 785 Mamaroneck Ave., White Plains. Contact Susan: 914.260.9339. Adult Guided Channeling Meditation Group –7:15-8:15pm. With Merrill Black, LCSW/Reiki master. Unique theme, meditation, group discussion. The Temperance Center, 453 White Plains Rd. Ste. 203, Eastchester. $15. 914.793.2600. TheTemperanceCenter.com. You and the Monkey Year! – 7-8:30pm. Astrologer Pamela Cucinell provides 2016 overview through her forecasting tools. Supply birth information at registration for a chance in the “hot seat” and individual insight. $30. W@tercooler, Tarrytown. Preregistration required: 917.796.6026. Love Magick – 7:30pm. Find love or rekindle the spark in a current relationship. An evening of enchanting spell work. Hands of Serenity Healing, 1129 Main St., Fishkill. Register: 845.896.1915. HandsOfSerenityHealing.com. Kirtan: Songs for the Soul/Valentine’s Day Celebration – 6-7:15pm. With Tejase, acoustic guitar, bass, percussion and harmonium. Call and response. The Temperance Center, 453 White Plains Rd. Ste. 203, Eastchester. $15. 914.793.2600. TheTemperanceCenter.com. Shamanic Journey Class with Melanie Ryan and Karine Gordineer – 7-8:30pm. Receive messages and guidance by connecting with one’s higher self and guides. A spiritual tool for growth, healing and working through psychological issues. Bring a journal. $48. 153 East Main St., Mt. Kisco. TheCenterForHealthAndHealing.net. Journey of Souls Part One with metaphysician Michael Rosenbaum – 10am-1pm. Explore humans as spiritual beings, what happens after people die, and why it’s important to develop emotionally, mentally and spiritually. Part two in afternoon. $75. 153 E. Main St., Mt. Kisco. TheCenterForHealthAndHealing.net. First Sunday Free Meditation and Satsang – 11:30am-12:45pm. Patterson. 845.878.7800. InnerBalanceStudio.org. Intro to Numerology with Joan Carra Spirit – 11:30am-1:30pm. $35. Synchronicity, 1511 Rt. 22, Brewster. Call to reserve a space: 845.363.1765. SynchronicityNY.com. First Sunday School – 12:30-2pm. A unique Buddhist-oriented class for children ages 5 and up and their families. Donation. SkyBaby Yoga Studio, 75 Main St., Cold Spring. 845.265.4444. SkyBabyYoga.com. Journey of Souls Part Two with metaphysician Michael Rosenbaum – 2-5pm. Through various exercises and meditations, explore the structure, laws and learning that takes place in the unseen world. Prerequisite (part one) offered in morning. $75. 153 E. Main St., Mt. Kisco. TheCenterForHealthAndHealing.Net. Just Dance – 2:30-4:30pm. DJ-activated, nonstop, contagious expression. Suggested donation $10. SkyBaby Yoga Studio, 75 Main St., Cold Spring. 845.265.4444. SkyBabyYoga.com. New Moon Gathering – 7-8:30pm. Use the lunar cycle to realize intentions. Guided meditations and ritual facilitated by astrologer Pamela Cucinell; bring a notebook. $20 members/$25 nonmembers. Wainwright House, Rye. Register: 914.967.6080. New Moon Manifestation – 6:30-8pm. Manifest heart’s desires with the creative energies of the new moon. Fee for newcomers: $10. DG Sanctuary, 2 Lagrange Ave., Poughkeepsie. 845.473.2206. DreamingGoddess.com. New Moon Circle – 7pm. Focus goals and intentions while aligning with the natural cycles of the Sacred Hoop. In quiet meditation, participants will dream into being the lives they wish to create in the coming months. Donation. Yonkers. Info and directions: 914.907.4485. Tea & Stones – 6:30-7:30pm. Enjoy this hour lecture to connect and learn about gems, stones and their incredible properties. Free. Dreaming Goddess, 44 Raymond Ave., Poughkeepsie. 845.473.2206. DreamingGoddess.com. StarVisions Healing Circle – 7pm. With Anne Bentzen, Reiki Master. Experience deep energy healing in a group setting. Everyone receives. Beginners and practitioners welcome. $20. $15 students. Unitarian Universalist Fellowship, 236 S Bedford Rd, Mt. Kisco. Preregister: 914.588.4079. Adult Guided Channeling Meditation Group –10-11am. With Merrill Black, LCSW/Reiki master. Unique theme, meditation, group discussion. The Temperance Center, 453 White Plains Rd. Ste. 203, Eastchester. $15. 914.793.2600. TheTemperanceCenter.com. ADD Just Doesn›t Add Up! – 7-9pm. Is it really a short attention span? Learn current facts and how to distinguish visual problems that mimic or complicate AD(H)D. Free. Dr. Samantha Slotnick, 495 Central Park Ave. Ste. 301, Scarsdale. RSVP w/Jane: 914.874.1177. DrSlotnick.com. Childbirth Education with Danielle Guillet –10am-12:30pm. Learn about the signs and stages of labor and mind-body techniques to facilitate relaxation. 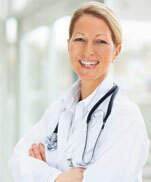 Learn how to make informed decisions while working with a health-care team. $150. Quest Yoga Arts, 11 E. Main St., Mt. Kisco. 914.241.9642. QuestYogaArts.com. Breast Health for Women: Girl Power! – 7:15-9pm. Karin Elias, LMT, and Myra Oney, CHHC, present an interactive workshop for women on ways to avoid breast disease and maintain healthy breasts. Finger Lakes School of Massage, 272 North Bedford Rd., Mt. Kisco. Register: 914.241.7363 ext. 12. The Healers’ Lounge @ The Center for Health and Healing Integrative Wellness Center – 10am-noon. Free event for holistic practitioners. Includes presentation and networking. Bring marketing materials to share. No RSVP necessary. 4 Smith Ave., 2nd Fl., Mt. Kisco. TheCenterForHealthAndHealing.Net. Introduction to Shamanism with David Beck – 7-9pm. A comparison of traditional shamanism to modern ideas. Explore various spiritual beliefs and how individuals put them into practice in everyday life. $25. Call to register. DG Sanctuary, 2 Lagrange Ave., Poughkeepsie. 845.473.2206. DreamingGoddess.com. Hip-Opening Workshop – 1:30–4:30pm. Ease hip tension with irreverent yogini Susan “Lip” Orem. Students and teachers welcome. $45 members/$65 nonmembers in advance. The Yoga Studio, Club Fit, 584 N. State Rd., Briarcliff Manor. Contact Audrey Brooks: 914.582.7816. YTAYoga.com. Date Night Couples Yoga – 4-5:30pm. Explore moving and flowing in harmony with partner and deepen connection as a couple; partner poses and breathing techniques. No experience necessary. $45/couple. Prana Yoga at Full Circle. Info: 914.421.1500; pranayogaandmeditation.com. Valentine’s Day Love Yoga Flow – 1-2:30pm. Followed by a champagne mimosa toast. $45 per couple. SkyBaby Yoga Studio, 75 Main St., Cold Spring. 845.265.4444. SkyBabyYoga.com. Westchester Holistic Network Meeting – 8-10am. Panera Bread, One North Broadway, White Plains, (in the plaza next to Walmart). Open to all – first meeting. Free. Info: WestchesterHolisticNetwork.org. Breathing Deeply: Interactive Past Life Regression Workshop – 7-8:30pm. Past life regression with dry salt therapy and aromatherapy with Shira Adler, certified past life regressionist. $40 in advance, $45 door. Breathe, 200 Katonah Ave., Katonah. RSVP: 914.232.5600. ShiraAdler.com. Tarot Wisdom Gathering – 6:30-8pm. Bring a Tarot deck if possible. Each month a card will be chosen to discuss and journey into with open minds and hearts. $10. DG Sanctuary, 2 Lagrange Ave., Poughkeepsie. 845.473.2206. DreamingGoddess.com. Archangel Healing Workshop with Shaman Elka Boren – 7-9pm. $35. Synchronicity, 1511 Rt. 22, Brewster. Call to reserve a space: 845.363.1765. SynchronicityNY.com. Reiki Master Practitioner (Reiki Level III) – Friday 7pm-10pm and Saturday 11am-6pm. Master Symbol, two attunement symbols, Reiki grids, aura clearing, microcosmic orb meditations and techniques. $375. Hands of Serenity Healing, 1129 Main St., Fishkill. 845.896.1915. HandsOfSerenityHealing.com. Reiki Master Teacher – Friday 7-10pm, Saturday 11am-6pm and Sunday 11am-6pm. Same as Friday-Saturday Reiki Level III plus Sunday class in process for passing on attunements. $500. Hands of Serenity Healing, 1129 Main St., Fishkill. 845.896.1915. HandsOfSerenityHealing.com. “Om”coming Yoga & Meditation Retreat with Wendy Hagen – 2-6:30pm. Yoga, journal, guided meditation, delicious vegan dinner. All levels. $100. Kirtan with Satya Franche and Ma Kirtan to follow. $10 for workshop participants. Quest Yoga Arts, 11 E. Main St., Mt. Kisco. 914.241.9642. QuestYogaArts.com. One Light Healing Touch Meditation – 3-4pm. Learn or deepen meditation skills and experience self-healing practices from Ryan Linehan, OLHT practitioner. $10. The Stretch yoga studio, 467 Central Park Ave., Yonkers. Contact Ryan Linehan: 914.275.1075. StretchYoga.me. Women’s Full Moon Circle – 7-8:30pm – A nondenominational monthly gathering for women. Come draw in the powerful energies of the full moon. Requested donation $10. DG Sanctuary, 2 Lagrange Ave., Poughkeepsie. 845.473.2206. DreamingGoddess.com. The Art of Surrender: A key to Freedom & Happiness – 10am-1pm. With Simran Kaur. Understand the key to living in the moment and freeing yourself. $35 before 2/17. 223 Katonah Ave, Katonah. Info: 914.232.3473; GoldenTempleYoga.com. Meditation retreat at Ganesha Spa – 6:30am-5pm. Sufi and Zen active moving meditations, restorative yoga, dance, chakra healing sessions, walking meditations. Vegetarian breakfast and lunch. Space limited. Register: 914.906.7238 or GaneshaSpa.com. Third Sunday Community Yoga – 11:30am-12:45pm. Admission by donation of personal care products for the Community Resource Center. InnerBalanceStudio.org. Restorative Workshop with Karla Diamond – 5-7pm. A powerful practice that everyone can benefit from, regardless of fitness level. Incorporates gentle, classic supported postures and breath. All postures done on floor. $25 pre-registered, $30 day of. Quest Yoga Arts, 11 E. Main St., Mt. Kisco. 914.241.9642. Quest Book Club – 7-8:15pm. Join a lively discussion of “Living Beautifully with Uncertainty and Change.” Bring snacks to share. Free. Please preregister. Quest Yoga Arts, 11 E. Main St., Mt. Kisco. 914.241.YOGA. QuestYogaArts.com. Full Moon Drumming Circle – 7pm. Following the cycles of the moon is an excellent way to focus goals and intentions while aligning with the natural cycles of the Sacred Hoop. Drum, meditate and honor Grandmother Moon. Donation. Yonkers. 914.907.4485. Vision & Success in School – 7-9pm. As many as 25% of children in any classroom have vision problems preventing them from reaching their potential. Free. Dr. Samantha Slotnick, 495 Central Park Ave. Ste. 301, Scarsdale. RSVP w/Jane: 914.874.1177. DrSlotnick.com. Yoga for Labor – 7:30-9:30pm. For expecting moms and partner. Explore yoga postures that calm the mind as well as open the pelvis for a more peaceful labor experience. $75. Prana Yoga at Full Circle. Info: 914.421.1500; pranayogaandmeditation.com. Holistic Moms Network presents Asian Medicine: Ancient Wisdom for the Modern Family – 7:30pm. With speaker Perry Levenson, licensed acupuncturist and board-certified Chinese herbalist with a specialty in family medicine. Rye Free Reading Room, 1061 Boston Post Rd., Rye. HolisticMoms.org. Reiki 1 & 2 with Reiki Master Marcus Feighery – 11am-5pm. $275. Synchronicity, 1511 Rt. 22, Brewster. Call to reserve a space: 845.363.1765. SynchronicityNY.com. Yoga Mudras with Julia Hough – 1-5pm. For yoga teachers. Learn mudras for physical ailments and psychological issues and how to bring mudras into a yoga teaching. $50. Please preregister. Quest Yoga Arts, 11 E. Main St., Mt. Kisco. 914.241.YOGA. QuestYogaArts.com. Hips to Hanuman: An Anatomy and Asana workshop with Lauri Nemetz –12:30-5:30pm. Like Hanuman, take a leap while learning the anatomy of the hips, pelvis and legs. $125 until 2/14, $150 after. Please preregister. Quest Yoga Arts, 11 E. Main St., Mt. Kisco. 914.241.YOGA. QuestYogaArts.com. Talking to Animals Intuitively – 1-3pm. Learn to talk to pets or backyard critters with Joan Carra. Register by 2/21: $35 member/$40 nonmember. After 2/21 or at door: $40/$45. Wainwright House, 260 Stuyvesant Ave., Rye. Contact: 914.967.6080. Info: PsychicJoanCarra.net. StarVisions Angel Meditations – 7pm. Suzanne Roth, Reiki Master Teacher, leads “Dance with the Angels” through deep meditation experience. Learn how to connect with the Angels from this powerful healer. $20. Bedford. Preregister: 914.523.6796. Garden Talk – 7pm. EcoBeneficial Gardening 101: Boosting the Ecosystem in Your Own Yard. Sponsored by the Garden Club of Yorktown. Free. The John C. Hart Memorial Library. 1130 Main Street, Shrub Oak. Register: 914.245.5262, x227. YorktownLibrary.org. Sharon Salzberg Retreat: People Who Care for People – March 4-6. Single: $455; Double: $435; Dorm: $405. Garrison Institute,Garrison. Info: 845.424.4800 or GarrisonInstitute.org. MELT – 4-5:30pm. With Joy Jacobson. A simple self-treatment method that eliminates chronic pain, improves performance and more using small balls and soft foam rollers, to “rehydrate” the connective tissue. $25 preregistered, $30 day of. Quest Yoga Arts, 11-13 E Main St, Mt Kisco. Register: 914.241.9642. QuestYogaArts.com. Osteoporosis Awareness Group – 7-9pm.Using the Alexander technique for osteoporosis with Karla Diamond, certified by the American Society for the Alexander Technique. Free. Burke Rehabilitation Hospital Bldg. Ste 4, 785 Mamaroneck Ave, White Plains. Info: Susan 914.260.9339. Emotion Code – 11am-12:30pm. “Experience the amazing benefit of this non-invasive healing modality,” says Mag Treanor. Release stress for self and pets. Carmel. Info: 845.228.8132. PutnamHealingArts.com. Qi Gong Class – 6:30-7:30pm. Learn how to reduce stress while enhancing one’s life force through guided breath, intention and specific movements. $10. Sacred Space Healing Arts Studio, 436 Main St, Beacon. Register, Lorraine: 845.416.4598. EmpoweredByNature.net. Yoga for Skiers – Feb 3-24. 7-8:15pm. Tues. With Jessica Outlaw. Enjoy time on the slopes by increasing strength and flexibility for the ski season. Improve performance, boost endurance, decrease chance of injury and reduce day-after soreness. $100 for the series. Quest Yoga Arts, 11-13 E Main St, Mt Kisco. Register: 914.241.9642. QuestYogaArts.com. Reiki Circle – 7pm. Supportive and loving group to bring more Reiki into one’s life. Open to all who are Reiki attuned. $10 requested donation but don’t let finances keep anyone away. Hands Of Serenity Healing, 1129 Main St, Fishkill. Register: 845.896.1915. HandsofSerenityHealing.com. Introduction to Mindfulness Meditation – Feb 4, 11 and 25. 7-8:15pm. With Melanie Ryan. Learn appropriate posture and meditation technique to begin or support one’s meditation practice. $30 per class or $75 for three weeks.. Tibetan Buddhist Meditation Shambhala Lineage. Mt Kisco. Registration: 914.260.1696.TheCenterForHealthAndHealing.net. The Healers Lounge – 10-11:30am. Free networking group for holistic practitioners. Quest Yoga Studio, 11 E Main St, 2nd Flr, Mt Kisco. 914.260.1696. TheCenterForHealthAndHealing.net. Electronic Voice Phenomenon Class – 7-9pm With Barry Piro. Register: 845.363.1765, Synchronicity, 1511 Rte 22, Brewster. SynchronicityNY.com. Adult Guided Channeling Meditation Group – 7:15-8:15pm.With Merrill Black, LCSW/Reiki Master. Unique theme, meditation, group discussion. The Temperance Center, 453 White Plains Rd, Ste 203, Eastchester. $15. 914.793.2600 TheTemperanceCenter.com. Hudson River Eaglefest – 9am. Daylong program that celebrates the Bald Eagles’ return to the Hudson Valley. Birds of prey shows, children’s activities, environmental exhibits and more. At Croton Point Park, with shuttle bus to other eagle viewing sites. Tickets/info: teatown.org. 914.762.2912, ext. 110. Creative Visualization Workshop –10am-1pm. Learn method to dissolve blocks and rewrite old beliefs and self-imposed limitations. $220 includes materials, individual consultation and personalized CD. Insight Counseling. Info: 203.431.9726. InsightCounselingLLC.com. M.E.L.T. Self-Care with Marisa Duffy – 1-2pm. M.E.L.T. workshops. Space is limited. $25. Rivertown Center for Yoga and Health. 343 Broadway, Dobbs Ferry. Registration required: 914.673.0919. RivertownYoga.com. Pre-Natal Partners Workshop – 2-4pm. With Allison Schleck. Expectant mothers and fathers/partners are invited to workshop aimed at teaching partner postures, labor prep and breathing techniques to help relieve discomforts of pregnancy and prepare for childbirth. $60 couple. No yoga experience necessary. Quest Yoga Arts 11-13 E Main St, Mt Kisco. 914.241.9642. QuestYogaArts.com. Kirtan with BlisSing – 7:30pm. An evening of music and chant. Discover the transforming power that Kirtan can have. Evening is made possible by Zenworks. All proceeds will benefit the Guiding Eyes of the Blind. Suggested donation $20. Liberation Yoga, 862 Rt. 6, Mahopac. 845.803.8389. HeART to HeART Valentine’s Day Fair – 10am-5pm. Welcoming local and area artisans. Pick up a little treasure for the heart that brings happiness. Acker House, Center for Integrative Health, 139 Grand St, Croton on Hudson. 914.707.1399. AckerHouseNY.com. The Journey of the Soul – 2-5pm.With Michael Rosenbaum, Metaphysician, directly trained by Michael Newton, author of Journey of the Souls. Learn about what happens after we die and why it is important for us to develop ourselves personally and spiritually while on earth. Registration: $75. $65 by Jan 31. Mt Kisco. 914.260.1696.TheCenterForHealthAndHealing.net. The Art of Sequencing – 3-5:30pm. With master yoga teacher, modern dancer and circus performer Chris Glover. Learn how to craft asana sequences that make yoga more accessible, sustainable and transformative. For yoga teachers and dedicated students. $50 after Feb 1. The Rivertown Center for Yoga & Health, 343 Broadway, Dobbs Ferry. Info, Beth Bierko: 914.384.9983. Register: RiverTownYoga.com. MELT – 12:30-1:45pm. With Joy Jacobson. A simple self-treatment method that eliminates chronic pain, improves performance and more using small balls and soft foam rollers, to “rehydrate” the connective tissue. $25 preregistered. $30 day of. Quest Yoga Arts, 11-13 E Main St, Mt Kisco. Register: 914.241.9642. QuestYogaArts.com. Monthly Singing Circle – 7-8:30pm. Sing and tone, bask in healing vibration and in the company of loving hearts. $20 suggested donation. The Rivertown Center for Yoga & Health 343 Broadway, Dobbs Ferry. Info, Beth Bierko: 914.384.9983. Register: RiverTownYoga.com. Putnam County Over 40 Females Connect Live! Networking Event – 6-8:30pm. Find out how to avoid toxins in personal care products, become a better label reader to make informed choices. Members free, Nonmembers $25 in advance. Four Brothers Restaurant, 654 Rte 6, Mahopac. Info, Leslie Barrick: 914.260.3171. over40females.com. Intro to Essential Oils – 8-9:30pm. With Marisa Lieberman. Evening of essential oil fun and learning. Find out what essential oils are, how to use them and how to obtain them in this presentation. Many oils will be shared. Free. Quest Yoga Arts, 11-13 E Main St, Mt Kisco. RSVP: 914.241.9642. QuestYogaArts.com. Adult Guided Channeling/Meditation Group – 9:30-10:30am. With Merrill Black, LCSW/Reiki Master. Unique theme, meditation, group discussion. The Temperance Center, 453 White Plains Rd, Ste 203, Eastchester. $15. 914.793.2600 TheTemperanceCenter.com. Qi Gong: Simple yet Powerful – Feb 11-Mar 18. 6-7:30pm. Wed. With Lorraine Hughes. Six-week series class: LES431. For overall health, stress, sleep, digestion, bones and joints, with tips for seniors. $89. Dutchess Community College South, Wappingers Falls. Register: 845.431.8910. SunyDutchess.edu/cfweb. Vision & Success in School – 7-9pm. “Is your child ready to learn? As many as 25% of children in any classroom have vision problems that keep them from reaching their potential.” Free. Dr. Samantha Slotnick, 495 Central Park Ave, Ste 301, Scarsdale. RSVP Jane: 914.874.1177. DrSlotnick.com. Introduction to Mindfulness Meditation – Feb 4, 11 and 25. 7-8:15pm. With Melanie Ryan. Learn appropriate posture and meditation technique to begin or support one’s meditation practice. Tibetan Buddhist Meditation Shambhala Lineage. Mt Kisco. Registration: $30 per class or $75 for three weeks. 914.260.1696.TheCenterForHealthAndHealing.net. Teen/Tween Yoga – 5-6pm. Kendra Rossney will lead yoga for grades 6-12. Free. Irvington Public Library. Info: 914.591.7840. Register: IrvingtonLibrary.org. Gong Meditation – 7-8pm. Relax to the healing and restorative sounds of the gong. Experience a sense of calm and inner tranquility. 223 Katonah Ave, Katonah. 914.232.3473. GoldenTempleYoga.com. Health & Healing: Contemplative Care for Caregivers – Feb 13-15. Led by Sharon Salzberg, Ali Smith, Atman Smith and Andres Gonzalez. In this retreat, we will use contemplative methods to help access the resiliency of the human spirit; to balance compassion for oneself and others; and to cultivate greater calm, clarity and peace of mind.GarrisonInstitute.org. Banana Leaf – A vegan friendly Indian Pop-Up – 7-9pm. Unique five course tasting featuring hand crafted artisanal Indian food, by local chef Rinku Bhattacharya. BYOB. $45; $80/two. Recologie Lifestyle, 49 Lawton St, New Rochelle. Reservation: 914.278.9350. recologie.com. Reiki Healing Circle: Meditation and Reiki Share – 10-11:30am. Led by Regina DeCarlo, RMT. $20. Dobbs Ferry. 917.593.5707. ReginaDeCarlo.com. Reunions – Conversations with the Other Side – 7pm. Join Psychic Medium Jeanne Rose for an evening of loving messages from those we have loved and lost. Participation fee $35. Seating limited and these evenings fill quickly so register early. Hands of Serenity Healing, 1129 Main St, Fishkill. Register: 845.896.1915. HandsofSerenityHealing.com. Special Valentine’s Day Soul Painting: Art& Yoga – 9am-2pm.Yoga and creative expression. All levels welcome. No art experience necessary. $63. 223 Katonah Ave, Katonah. 914.232.3473. GoldenTempleYoga.com. Monthly Teen Guided Mediation Group – 9:30-10:30am. With Merrill Black, LCSW/Reiki Master. Ages 13-17. Unique theme. The Temperance Center, 453 White Plains Rd, Ste 203, Eastchester. $15. 914.793.2600. TheTemperanceCenter.com. Restorative Yoga Workshop – 4-6pm. With Karla Diamond. A relaxing yet powerful practice that everyone can benefit from. Release deeply held tensions, calm nervous system, strengthen immune system and increase self-awareness. $25 preregistered. $30 day of. Quest Yoga Arts, 11-13 E Main St, Mt Kisco. 914.241.9642. QuestYogaArts.com. Two Year Anniversary of Holistic Physical Therapy at Acker House – Day of free events. Open to the public. Experience all that Acker House has to offer with many local, holistic professionals presenting workshops, classes and treatments throughout day. Acker House, Center for Integrative Health, 139 Grand St, Croton on Hudson. 914.707.1399. Full schedule: AckerHouseNY.com. New Moon Gathering – 7-8:30pm. Make the most of the coming lunar cycle. Guided meditations and ritual facilitated by astrologer Pamela Cucinell; bring a notebook. $20 members/$25 non-members. Wainwright House, Rye. Register: 914.967.6080; wainwright.org. Adult Guided Channeling/Meditation Group – 7:15-8:15pm.With Merrill Black, LCSW/Reiki Master. Unique theme, meditation, group discussion. The Temperance Center. 453 White Plains Rd, Ste 203, Eastchester. $15. 914.793.2600. TheTemperanceCenter.com. Green Drinks Westchester at Recologie – 6-8pm. Opportunity for those who care about the environment to meet face to face, share ideas and enjoy each other’s company. 49 Lawton St. New Rochelle, Info: Facebook.com/greendrinkswestchester. Evening Satsang – 7-8:30pm. With Prem Sadasivananda. Meditation, chanting and dharma talk with master teacher and former director of the Sivananda Center. $20. The Rivertown Center for Yoga & Health, 343 Broadway, Dobbs Ferry. Info, Beth Bierko: 914.384.9983. Register: RiverTownYoga.com. Building Rider Confidence – 6-8pm. For a competitive rider or just a happy trail rider, this interactive seminar offers practical tools. With James Cassese, and the Equine Energetix herd at Pegasus Therapeutic Riding Center, Brewster. $45. Info: equineenergetix.com; 212.477.4475. Archangel Healing Workshop – 7-9pm. With Shaman Elka Boren. $35pp. Register: 845.363.1765, Synchronicity, 1511 Rte 22, Brewster. Info: SynchronicityNY.com. Adult Guided Channeling Meditation Group – 7:15-8:15pm.With Merrill Black, LCSW/Reiki Master. Unique theme, meditation, group discussion. The Temperance Center, 453 White Plains Rd, Ste 203, Eastchester. $15. 914.793.2600. TheTemperanceCenter.com. “Live and Let Live” Lecture/Book Signing – 11am-12:30pm. Connected to Nature? Learn collaboration with all living beings to restore ecological health. $28. Wainwright House, 260 Stuyvesant Ave, Rye. Register: 914.967.6080. Wainwright.org. Info: TreeWhispering.com. Kirtan with BlisSing – 7-9pm. Evening of loving-kindness, music, dancing and devotion. $25 suggested donation. The Rivertown Center for Yoga & Health 343 Broadway, Dobbs Ferry. Info, Beth Bierko: 914.384.9983. Register: RiverTownYoga.com. Witches’ Stitch Ministry – 6pm. Learn basic knitting and crocheting techniques or come together to share tea and time. Working to create healing shawls for local nursing homes. Beginner and experienced yarn workers welcome. Call for supply list and to register. Free. Hands of Serenity Healing, 1129 Main St, Fishkill. 845.896.1915. HandsofSerenityHealing.com. Astrology 101 – Five-week course teaches the foundation of astrology, planets, signs and how to put it together. Teacher: NCGR certified astrologer Pamela Cucinell. Wainwright House, Rye. For cost and schedule visit wainwright.org. M.E.L.T. Self-Care with Marisa Duffy – 11:30a-12:30pm. M.E.L.T. workshops. Space is limited. $25. Rivertown Center for Yoga and Health. 343 Broadway, Dobbs Ferry. Registration required: 914.673.0919. RivertownYoga.com. Monthly Let Your Yoga Dance Class – 7-8:15pm. Joyful, aerobic practice combining yoga and dancing through the chakras. $20 suggested donation. The Rivertown Center for Yoga & Health 343 Broadway, Dobbs Ferry. Info, Beth Bierko: 914.384.9983. Register: RiverTownYoga.com. Henna/Mehndi for Teens/Tweens – 7-9pm. Find out from body artist Margie Nugent about Henna/Mehndi decorations and come home wearing a temporary design. Program requires parent or legal guardian to come to the Irvington Public Library to sign a permission form. Grades 6-12. Free. Info: 914.591.7840. Register: IrvingtonLibrary.org. Adult Guided Channeling/Meditation Group – 9:30-10:30am. With Merrill Black, LCSW/Reiki Master. Unique theme, meditation, group discussion. The Temperance Center, 453 White Plains Rd, Ste 203, Eastchester. $15.914.793.2600. TheTemperanceCenter.com. ADD Just Doesn’t Add Up! – 7-9pm. Is it really a short attention span? Learn current facts and how to distinguish visual problems that mimic or complicate AD(H)D. Free. Dr. Samantha Slotnick, 495 Central Park Ave, Ste 301, Scarsdale. RSVP Jane: 914.874.1177. DrSlotnick.com. Peak Performance Training for Athletic, Academic and Personal Success – 7-9pm. Learn how peak performance training helps sustain focus, attention and alertness despite environmental stressors, noise and distractions. Free. Sensory Stepping Stones, 83 S Bedford Rd, Mt Kisco. RVSP Required: 914.497.3878. Holistic Moms Meeting – 7:30pm. Holistic Moms hosts Dr. Neil Raff, MD who combines 33 years of medical expertise with revolutionary natural approaches, including alternative cancer treatments; Prolotherapy and stem cell techniques which can avoid hip and knee surgery. Rye Free Reading Room, 1061 Boston Post Rd. HolisticMoms.org. Enlightened Leadership: Becoming a Force for Positive Change – Feb 27-Mar 1. Led by Tenzin Wangyal Rinpoche. “As we awaken to our nature, each one of us becomes an agent of change that benefits oneself, others and the community. But how can we learn to truly see ourselves?” Garrison Institute. Info: GarrisonInstitute.org. Meeting & Communicating with Your Spirit Guides – 6:30-8:30pm. With Alexandra Leclere. Register: 845.363.1765, Synchronicity, 1511 Rte 22, Brewster. SynchronicityNY.com. Healing and Prayer Service – 7:30pm. An evening of group energy healings and prayer, offered to the community in service to spirit. No fee for this evening. Hands of Serenity Healing, 1129 Main St, Fishkill. 845.896.1915. HandsofSerenityHealing.com. Reiki 1 & 2 – 10am-5pm. With Reiki Master Marcus Feighery. $275pp for both classes. Register: 845.363.1765, Synchronicity, 1511 Rte 22, Brewster. Info: SynchronicityNY.com. Unleashing Your Sensuality & Expanding Your Intuitive Power – 2-5pm. Join international author, speaker and relationship expert Sheila Pearl for a women’s only workshop. Dance, laugh, drum, om and giggle into one’s own juicy power. Registration: $85. $75 by Feb 14. Mt Kisco. TheCenterForHealthAndHealing.net. M.E.L.T. Self-Care with Marisa Duffy – 7-8pm. M.E.L.T. workshops. Space is limited. $25. Rivertown Center for Yoga and Health. 343 Broadway, Dobbs Ferry. Registration required: 914.673.0919. RivertownYoga.com. Garden Talk – Container Gardening – 7pm. Sponsored by the Garden Club of Yorktown. Amy Wilbur from Sweet Dirt Design/Container Gardens. Free. John C. Hart Memorial Library, 1130 Main St, Shrub Oak. Info: 914245.5262 x245. yorktownlibrary.org.